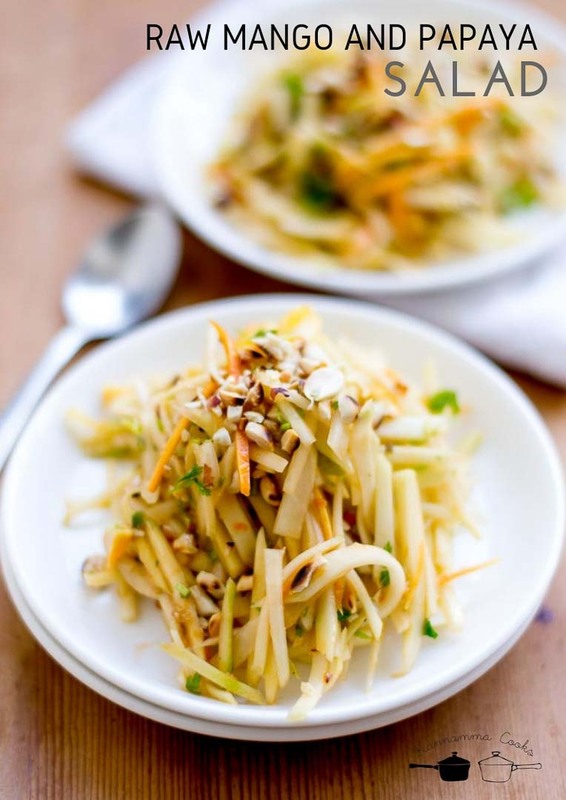 A simple green mango papaya salad made with finely julienned raw mangoes and papaya with a home dressing. Recipe with step by step pictures. This is one of the simplest salads you will ever make. 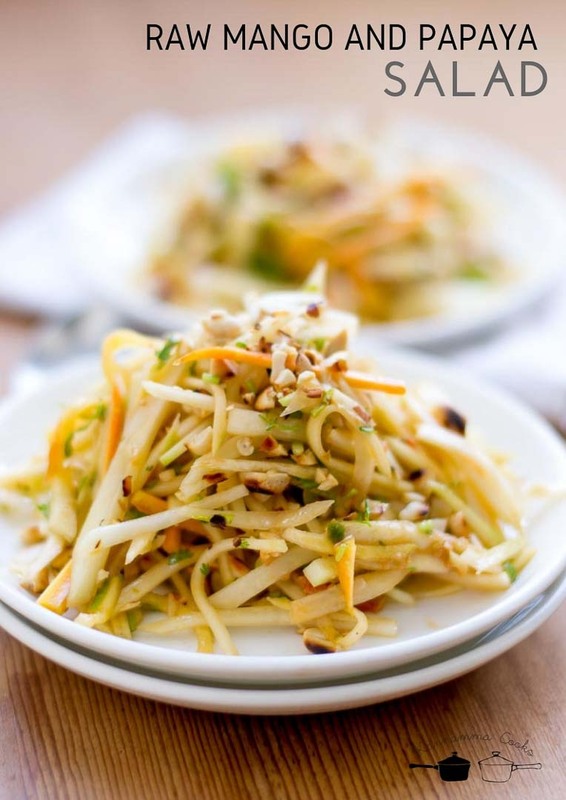 This Thai inspired version of Som Tam is one of our favorites. Its sweet, sour, crunchy and very refreshing. 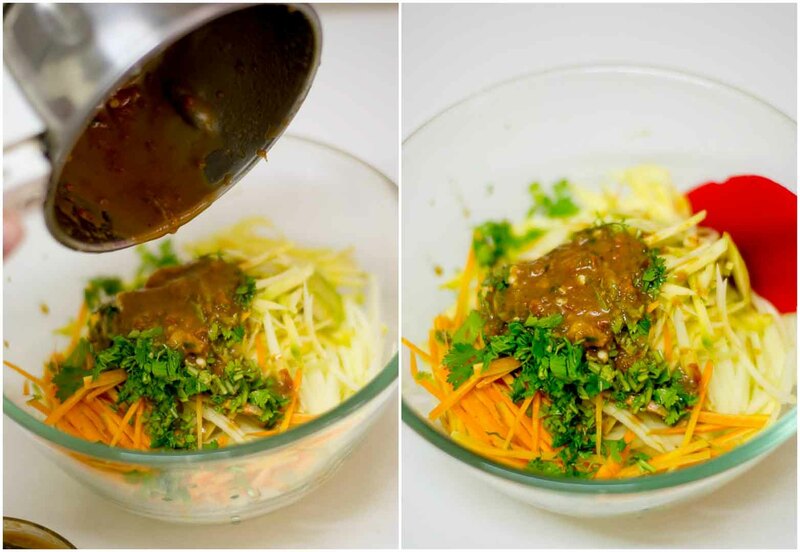 I do not add the traditional fish sauce to the salad that’s very prominent in Som Tam. This recipe makes up for a great meal in itself or as a side. Do try this at home. Here is how to do it. The raw green papaya needs to be shred / julienned. Peel and deseed the papaya. Slice the papaya and then cut into thin strips. A food processor will do the job fine. Peel the raw mango. Slice and cut the raw mango into thin strips too! 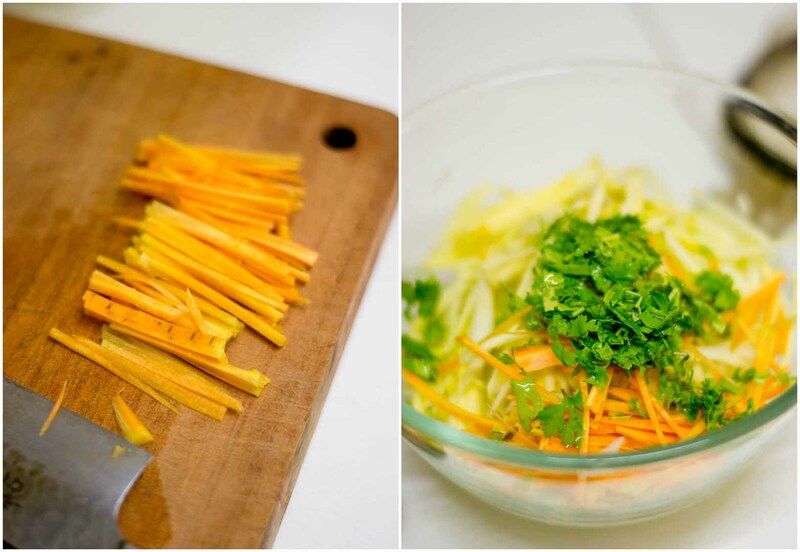 Cut the carrots into strips and add everything to a bowl. Also add in a few sprigs of chopped coriander leaves. 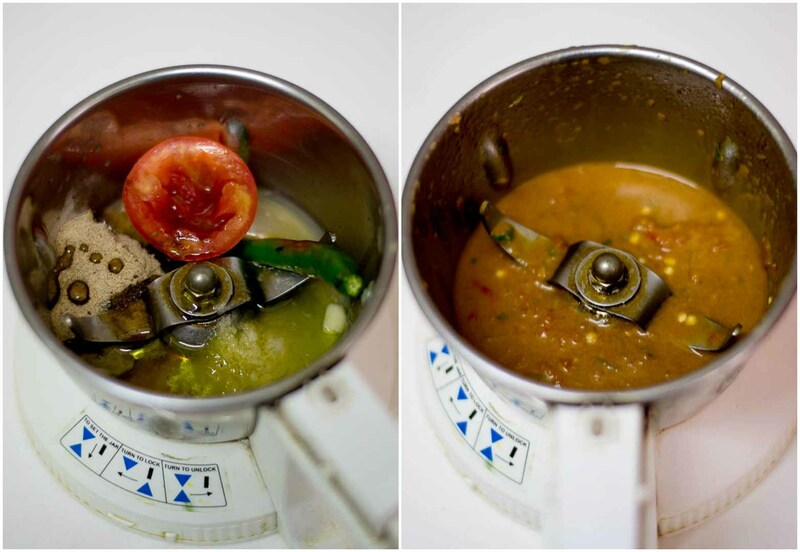 Take a small mixie jar and add in half of a deseeded tomato. 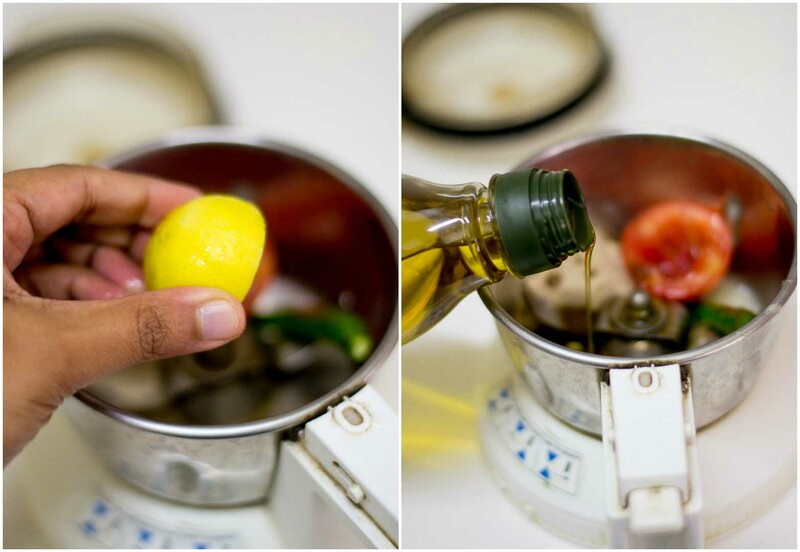 Add in the lemon juice, olive oil, green chilli, palm sugar or jaggery, garlic cloves and the salt. 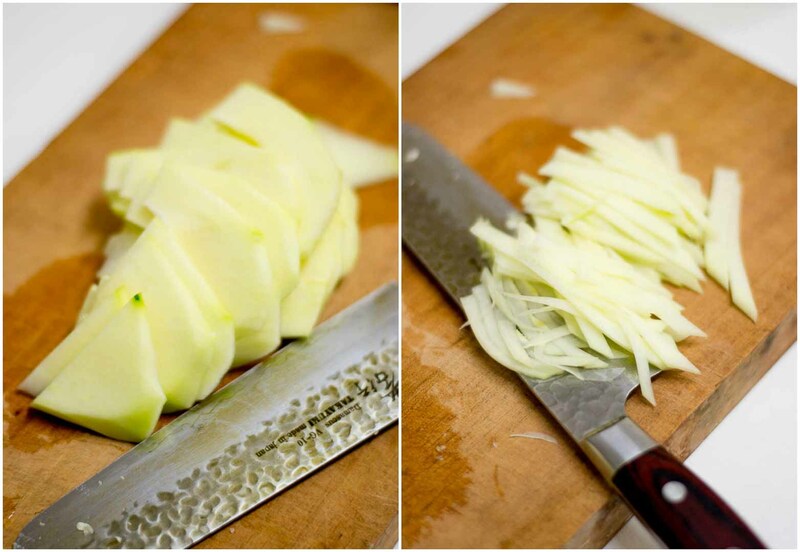 Grind everything to a puree. Do not add any water while grinding. Add this dressing to the cut veggies. 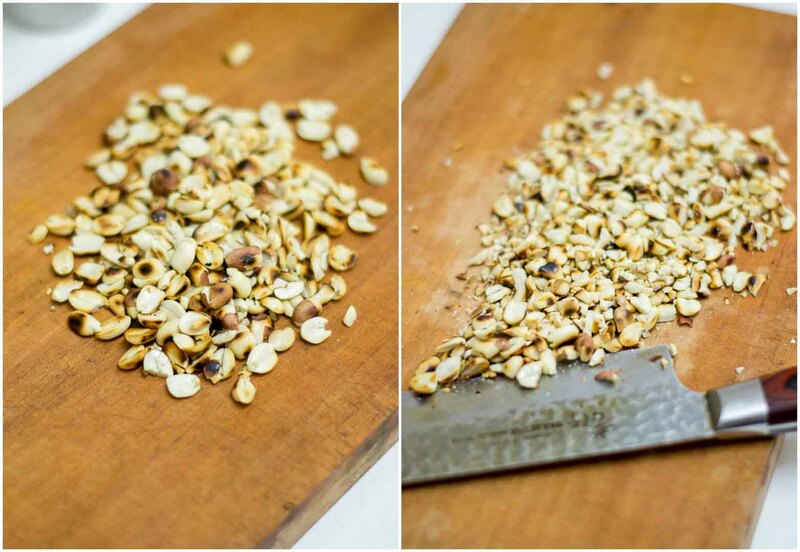 Finally, roughly chop some roasted peanuts. Add in the roasted peanuts to the salad and mix well. Green mango and papaya salad is ready. 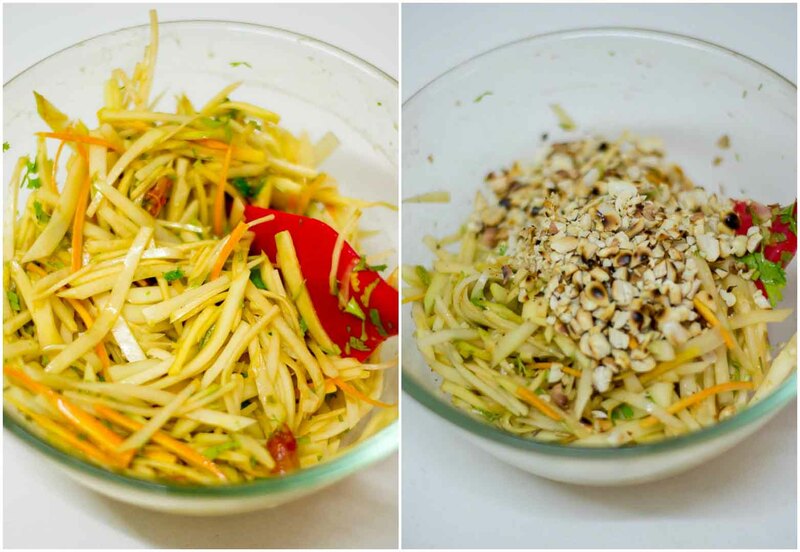 A simple green mango papaya salad made with finely julienned raw mangoes and papaya with a home dressing. Peel and deseed the papaya. Slice the papaya and then cut into thin strips. A food processor will do the job fine. Peel the raw mango. 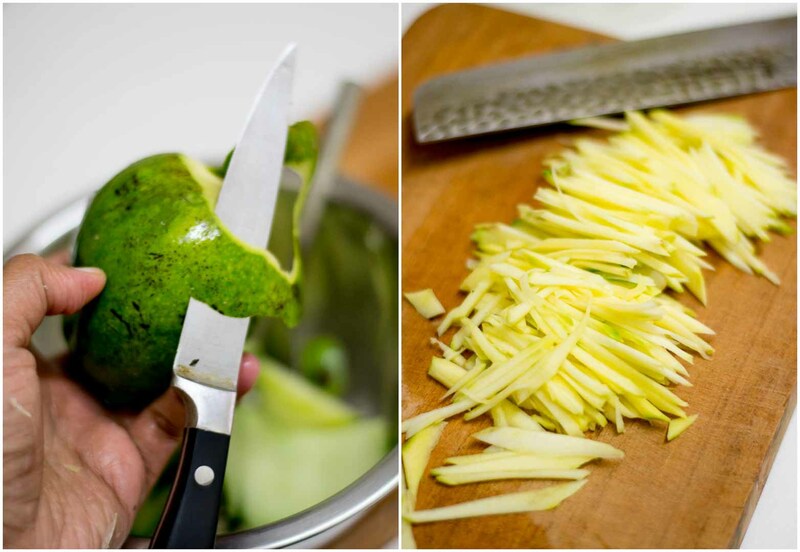 Slice and cut the raw mango into thin strips too! Cut the carrots into strips and add everything to a bowl. Also add in a few sprigs of chopped coriander leaves. Hi. 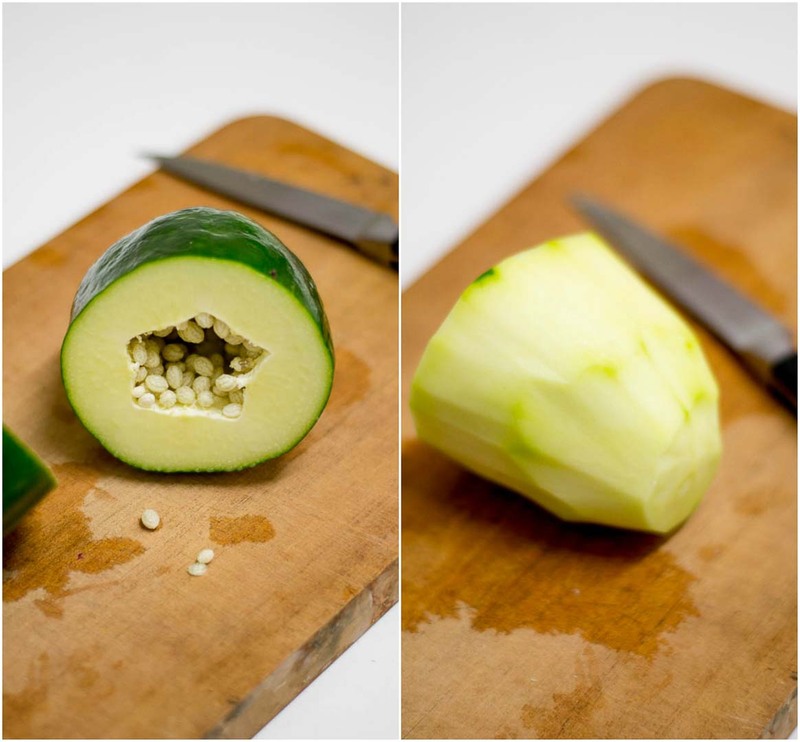 Is unripe papaya safe to eat?